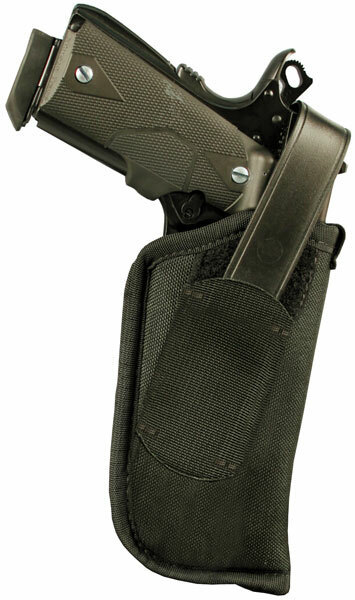 Blackhawk 40HT16BKR Hip Holster with Thumb Break 3.25-3.75 Barrel Medium|Large Auto Nylon Black in. BlackHawks Hip Holster is designed for easy draw and unyielding performance. It has a smooth nylon lining and robust outer shell with 1000D Cordura nylon outer material and an adjustable retention strap with nonglare snaps.This model has a black finish thumb break and is compatible with 34mediumlarge double action revolver."